The U.S. Army ‘s Space and Missile Defense Command has activated a satellite built to collect and transmit imagery in real time to tactical-level soldiers on ground. Kestrel Eye served as a payload aboard a Falcon 9 rocket that lifted off Aug. 14 at NASA’s Kennedy in Florida as part of SpaceX‘s CRS-12 cargo resupply mission to the International Space Station, the Army said Wednesday. The satellite is located within a safe distance from the orbiting laboratory and designed to receive signals from a ground station after it automatically starts up. 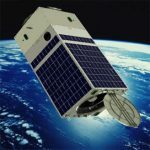 John London III, chief engineer at SMDC’s Space and Strategic Systems Directorate, said the satellite stems from an 11-year-old idea that space information does not need to be expensive and limited in availability. Maj. Fred Kennedy, then a program manager at the Defense Advanced Research Projects Agency, contacted London in 2006 to discuss the potential of SMDC to oversee the Kestrel Eye program. The program’s first phase will involve a technical check-up to confirm satellite functionality, while the second phase will mark the satellite’s first full technical demonstration in space. U.S. Pacific Command will facilitate the operational demonstration under the third phase, then the Army will utilize the satellite in multiple exercises as part of the final phase.